I’d been climbing for a couple of years and had hit a plateau in my climbing. With so much advice on training out there I tried improving by myself, constantly thinking am I doing the right thing, that I could manage my training effectively, but nothing worked. By chance I met Paul whilst climbing at a local wall and then again on Portland. After finding out that he was a coach at Jurassic Climbing Academy I signed up for an initial climbing assessment, then I signed up for my first Months coaching session and training plan. 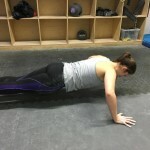 I had structure, maximum benefit from my training time and a personal plan that pushed me. I like to train hard and Paul gave me just that. By the end of my first month I’d sent a project, pushed a grade and came 2nd in a lead climbing competition. I am continuing with Paul to hit my further goals and am excited to see how far he can push me. 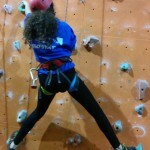 I cannot recommend Jurassic Climbing Academy enough for someone who wants to progress their climbing to the next level. I have been with Paul for 6 months now and I am very pleased with my results. I started on his weekly general coaching sessions climbing 6a/V0 and after a couple of months of going back to basics I had progressed to being confident on 6b/V1. I decided that I wanted more and signed up for bi-weekly one to one coaching sessions. 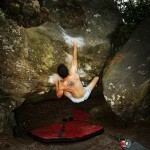 My climbing then really took off and after another 4 months I red-pointed my first 7a and had sent V4 problems. I am now continuing my one to one coaching sessions with Paul and aiming my sites at reaching 8a and V7. I first met the guys from Jurassic Climbing Academy at Winspit Quarry where they were coaching a couple of climbers. I was very interested in what they were teaching the climbers to do. 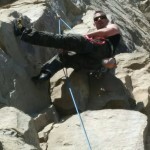 I noticed how they quickly improved and were able to climb routes they were struggling on just an hour before. I asked for some advice on the route that I was trying and they were kind enough to help out, resulting in me seeing the move and finishing the route. I have now been on one of their Dorset Performance Coaching Workshops and learnt a huge amount. I have been practising and training what I learnt and have improved my grade and my confidence. I started climbing with Paul about 6 months ago. I’d been climbing for about 3 months on my own and had hit a bit of a plateau, together with the fact that I’m terrified of falling meant that I was having a hard time! You can make so much more progress with even just one coaching session, although I have carried on with monthly sessions. We’ve worked on movement, technique, basic conditioning and the benefit is starting to show. Paul has been very encouraging and patient when coaching me, my confidence is improving and I’m less worried about the falling. Although Paul challenges your comfort zone he won’t push you beyond your limit and that works very well for me. 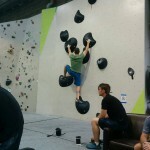 I started climbing with Jurassic Climbing Academy in January of 2014, I had never lead climbed before, I could only just climb a 5+ indoors and had never climbed outdoors. After a year of training and coaching I have just sent my first 6C lead indoors and have redpointed a 6B+ outdoors. The progress I’ve made in the time I’ve been climbing with the academy is unbelievable, I’ve been able to organise my training and coaching around my university studies and I’m looking forward to my first climbing trip abroad with the academy to the Greek Island of Kalymnos in April 2015. 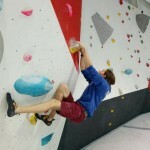 Jurassic Climbing Academy caters for both novice and experienced climbers and I can’t recommend them highly enough!